If you are not aware, you can view content related to marriage and parenting at Comma, Rethink Life’s website. I will be uploading new conversations with people on these topics and observations from my own personal life. Here’s one that we did with Racheal Kwacz, a Child & Family Development Specialist. In this video, we talked about Respectful Parenting and what it is all about. She shared about how we can build the inner voices in our child’s head and raise them to be kind, compassionate and resilient children. 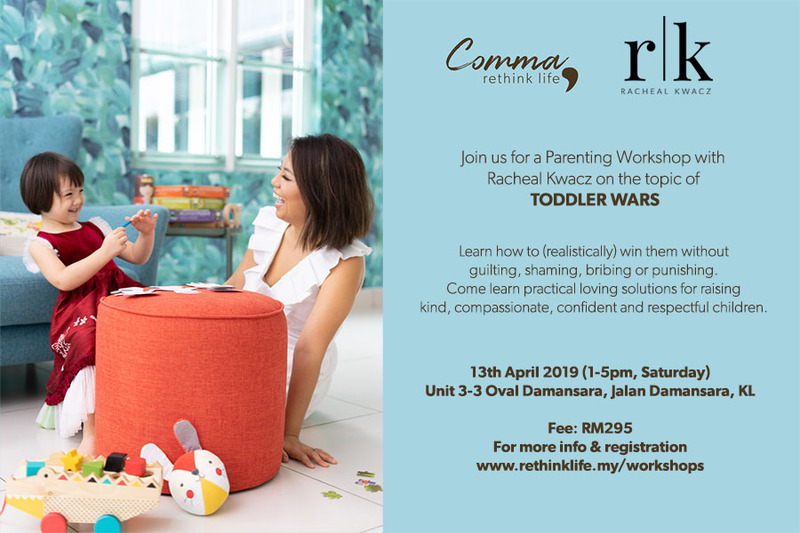 If you are interested in attending our first ever parenting workshop co-organized with Racheal, please see the details below!